Posted September 9, 2016 by Town Hall Terrace & filed under Things to Do Around Town Hall Terrace. At Town Hall Terrace, we know how important your animal companion is. A happy animal is a healthy animal! As a pet-friendly complex, we believed that we should create a unique amenity to our tenants which is why our dog exercise park is designed to give our furry tenants a place to jump and play! A well-exercised dog is a happy dog. We know it can be challenging for your dog to get the proper amount of exercise with your busy schedule, but with a dog park conveniently located right outside your door, it’s never been easier. Without the proper amount of exercise, your dog could be at risk for canine obesity which, as like with humans, canine obesity can lead to health problems. These types of problems include joint pain, skin issues, heart issues and many more. We are not a veterinarian, nor claim to be a dog expert. However, we felt that we should provide our occupants with a unique experience that would not only benefit them, but also their four-legged family members. The dog park also allows for a safe, fenced in area that will protect your pooch from bolting into traffic. Having your pooch bolt because he or she is scared or is being disobedient can be terrifying. However, at our dog park your pooch can run to their heart’s content! It is a safe space for dogs and their owners to sit and relax. Dogs are supposed to be active, and are ingrained with a desire to run and chase and play after things. You cannot fight their inner nature. It is better to give them an outlet to express themselves. With a smaller space, dogs can have a tendency to act out, and may even become destructive. 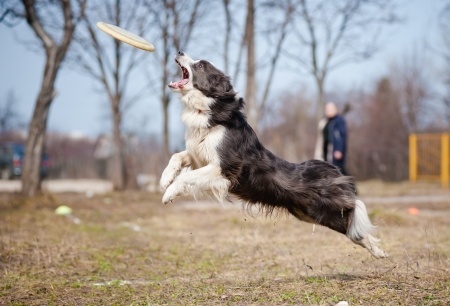 However, if your canine is regularly stimulated with endorphins and tired out from play, they will become calmer. Your dog will have tons of fun and you will be able to relax knowing that your pet has the option to get out of your home. A tired dog is a happy dog! Spending days at the dog park will keep your dog physically active and socialized with other dogs. Interaction with other dogs and owners is important in keeping a dog satisfied, plus a tired dog is less likely to bark and distract other tenants. Everyone wins! Our dog park is a great place for tenants to socialize and meet other animal lovers. You and your companion can meet other dogs, enjoy the fresh air and make new friends. If you have any questions about our dog exercise park or any other amenities we offer, or want to learn more about our current open units, give us a call today at 716-773-2788. Posted September 2, 2016 by Town Hall Terrace & filed under Things to Do Around Town Hall Terrace. Unless you’ve been living under a rock, you know that the Buffalo Bills will be playing in the season opener Sept. 11. 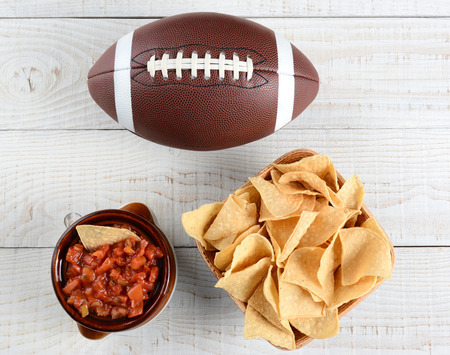 Instead of just going to a bar to watch the game, if you live at Town Hall Terrace you could host a season starter party that’s sure to have everyone raving. Here are five ways you could celebrate the start of the 2016 season in one of our townhomes, patio homes or apartments. To start, there’s no place like home! Instead of going to a party or bar, bring the party to you. Invite a bunch of friends over to your spacious apartment or townhome at Town Hall Terrace and cheer the Bills on to victory from the luxury of your own place. Do you and your friends love to play sports as much as you like watching? Before kickoff, head outside to Town Hall Terrace’s basketball and tennis courts and play a match or two. It could also be a great way to let off some steam after the game if they lose. Bills fans are everywhere in Western New York, including many of the neighbors at Town Hall Terrace. So this year, gather a group of friends and neighbors to root for the team together. It’s not only fun but it’s a great way to strengthen your connections in the community here. Not able to tailgate? No problem! Get a group together and have a cookout before the game at our picnic pavilion! You can grill up some hamburgers and hot dogs and make sure everyone is fed and ready to cheer the Bills on come kickoff. If you have decided to have a party at your apartment but it’s not looking like everyone is going to fit, transfer the party to the clubhouse lounge. With a ton of room and huge flat-screen television, residents can reserve the lounge to host a kickoff party or other game-day viewing celebration with all your fellow Bills fanatics. Town Hall Terrace in Grand Island has apartments, townhomes and patio homes for rent. With a variety of great amenities and located a short drive from destinations in Niagara Falls, Buffalo and the greater region, make Town Hall Terrace your next home. For more information, feel free to call us today at 716-773-2788! Posted August 2, 2016 by Town Hall Terrace & filed under Amenities. As many of you may know, summertime in Western New York is very short. That’s why it is important to get out and enjoy the summer weather while you have the opportunity. At Town Hall Terrace, we share this sentiment and offer a range of outdoor amenities here that will allow you to get out and have some fun in the sun during the summer. If you’re looking to get out and get some exercise, then our tennis courts and basketball courts are sure to be right up your alley. You could play a one on one game of tennis with your roommate or a friend or team up and take on other competitors at the court. As for the basketball courts, you could simply shoot around, join in a game with others already playing or get a game of your own started. One benefit of being on these courts is that it also offers a chance for you to meet and get to know other residents, allowing you to make better friends with your neighbors! As you may know, Town Hall Terrace is also pet-friendly, and we allow dogs and cats in our apartments, townhouses and patio homes. If you want to get outside with your four-legged friend, we have more than enough room for it at our dog exercise park. You can go outside and run around with your pup or play fetch. Just like with the tennis courts, you and your pup and have a chance to play with other pet owners at Town Hall Terrace as well, making new friends – both human and canine! After all of that exercise and fun, you’re probably going to be hungry and what’s better than an outdoor barbecue? Town Hall Terrace also boats a great outdoor picnic pavilion with picnic tables and grills so you can cook up your favorite summertime meals. Kick back in the shade with a few friends and enjoy the summer breeze, the fresh smell of burgers or sausage and the casual, comfortable life of living at Town Hall Terrace. If you’re looking for a convenient place to live with great amenities that can help you make the most of your summer, look no further than Town Hall Terrace. 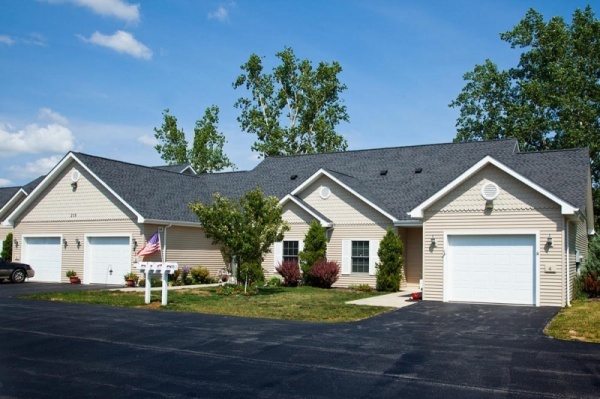 We’re located in Grand Island, New York, and all of our apartments, townhouses and patio homes are just a short drive to anywhere in Western New York. To learn more or for more information, call us today at 716-773-2788! Posted July 26, 2016 by Town Hall Terrace & filed under Summer Activities. “The fair is coming to town!” These words spark indescribable excitement for residents in Erie and Niagara counties, especially as the opening days of each county fair draws near. We hope you’re ready for these county fairs to hit your part of town! From Aug. 3-7, take in all the sights, smells and sounds that the Niagara County Fair has to offer. You and your family can have fun together and make memories as you enjoy the food, fun and entertainment that is coming to the Niagara County Fairgrounds. Enjoy family-friendly games, delicious food, 4H animals, a parrot show, comedy shows and much more. With a parade planned Saturday, Aug. 6, meat auctions, live music, midway rides and games and so much more, you can’t miss the great fair’s 175th year! Check out the full schedule on the Niagara County Fair’s website and plan your trip. What will you be doing Aug. 10-21? Hopefully you will be going to the Erie County Fair! As the third largest county fair in the country, there’s always something new to see, do and taste. 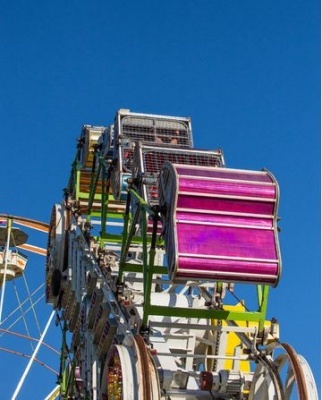 Known for attracting thousands of both new and retuning fair-goers, the Erie County Fair always delivers a memorable and family-friendly experience. What can you expect? Rides for both children and adults, one-of-a-kind food creations, carnival entertainments, concerts in the grandstand – including Hunter Hayes and Lee Brice – animal shows and displays and so much more. It’s one of the greatest times of the summer, and it certainly should not be missed. There are always new games to play, new rides to try, new food to taste and new sights to see! For more information on admission prices, parking and hours, visit the Erie County Fair’s website. Living on Grand Island makes it easy to get to the county fairs so that you can take in all the sights and activities. If you’re looking to move to Grand Island, check out the available apartments, townhouses and patio homes at Town Hall Terrace. We’re a conveniently close to both fairgrounds and many other great amenities in Buffalo, Niagara Falls and all throughout Western New York. To learn more about our currently available units, call us today at 716-773-2788. Posted July 19, 2016 by Town Hall Terrace & filed under Grand Island. One of the greatest advantages of living alone is that you’re the king or queen of your own castle. Your rules and your style are reflected in your home that’s just yours. But, for a lot of people, the quietness can be difficult to handle at times. Humans are programmed to be around other humans, and while it can be wonderful to live alone, it can also be a challenge for people who are prone to feeling lonely on occasion – and aren’t we all? If you know how to recognize the signs of that lonely feeling, though, you’ll be able to stave off those unwanted feelings. Here are a few tips from Apartment Therapy to help you enjoy all the benefits of flying solo without letting loneliness creep in. First and foremost, invite your friends and family over! If your close friends and family start to feel comfortable in your home and are willing to come by more often, you’ll have less opportunity to feel lonely. You don’t have to throw formal dinner parties twice a week, but inviting some people over to chat, play cards or even just watch a Sabres or Bills game can go a long way to staving off the lonely feeling. You should also have a hobby handy that’ll occupy your mind and distract you from the quiet. If you’ve always wanted to learn to paint, why not pick up some tools and watch some instructional videos online? The same goes for musical instruments – plus you won’t have to worry about bugging your roommate if you’re up late practicing! Or, if you love reading, make sure to always have a good book on standby. If you’re a pet person who lives alone, you could also consider getting a new pet! Having a dog or a cat around will guarantee that you’ll always have someone to greet you at the door when you get home (well, that is if you have a very friendly cat). But even having a smaller pet, like a hamster or a fish, can go a long way towards making your home feel less empty. Pets may not be an option for many homes, especially rented ones, but we’re very pet-friendly at Town Hall Terrace, where we know that your furry companion is a part of the family! We welcome everything from guinea pigs and birds to cats and dogs – we even have a convenient dog exercise park! So, if you’re looking for a place for one with a pet-friendly disposition, check out Town Hall Terrace. Call us today at 716-773-2788 or email us at townhallterrace@verizon.net and find out more about the great benefits of life on Grand Island! Posted July 12, 2016 by Town Hall Terrace & filed under Grand Island, Things to Do Around Town Hall Terrace. When looking for the right location to move to in Western New York, it’s important to keep one thing in mind, especially during the summer: How far is it from the beach? If you move to the Grand Island area, you’ll be in close proximity to several of the best beaches in the region! There are plenty of places to cool off during the summer in both Erie and Niagara counties, and Town Hall Terrace on Grand Island is just a short drive away from them all. The closest beach to Grand Island is Beaver Island State Park. It’s actually located right on Grand Island! It’s more than your average beach, however, as it provides canoe and kayak launches, bike trails and access to fishing, boating and picnic areas – and, of course, the sandy beach. No matter what you want to do, just remember you’re closer than ever to fun in the sun! Right outside the city of Buffalo in Hamburg is the hidden gem of Woodlawn Beach State Park. All you have to do is follow the wooden pathway among trees and nature, and you’ll reach the secret spot! Cool off in Lake Erie, play some volleyball, or just enjoy the gorgeous view. Going a bit further south, Evangola Beach is the third state park beach for residents to visit. This park offers plenty of campsites plus convenient amenities, including snacks and treats from the snack bar, a camp store for campers to stock up and a natural sandy beach that offers great swimming. It may be the furthest park from Grand Island, but it’s definitely worth the drive! 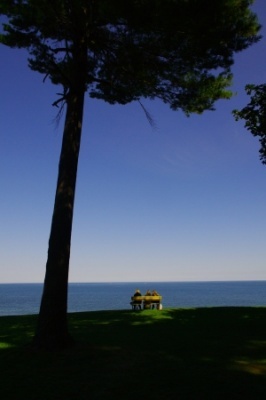 Olcott Beach and Krull Park provide endless fun for the whole family on Lake Ontario. Krull Park offers picnic areas and covered pavilions available to rent for special events, plus two playgrounds and even a splash park. It’s a park you can enjoy year round, too, with events planned all throughout the year! Come summertime, you can enjoy the waterfront and beach, not to mention the beautiful views that Olcott Beach has to offer. Residents of WNY can also enjoy Wilson-Tuscarora State Park all year long, even in the winter! Cool off by taking a dip in the water and relaxing under the sizzling sun, or stay active and go on a hike on the four-mile nature trail. In the winter, the trail is open for snowmobiling, snowshoeing, and cross-country skiing. You now know how close Town Hall Terrace apartments are located to the beaches and state parks in Erie and Niagara counties – and that doesn’t even count the private beaches and town and village parks available! If you’d like to learn more about our available apartments, townhouses or patio homes, give us a call today at 716-773-2788. Posted July 5, 2016 by Town Hall Terrace & filed under Amenities. With a wealth of fitness centers scattered across every town, there’s usually no shortage of options for those looking for a new place to exercise. However, with gym memberships costing monthly fees – fees that continue to rise or may only stay low for a promotional period – it can be difficult to justify maintaining a membership. Plus, not many people like having to get up and go someplace else when they can do similar exercises and get the same results in their own living rooms. Some might say that the enthusiasm to work out at home is less than if you were heading to the gym, but that is not necessarily true. There are many benefits working out at home or within your close community. At Town Hall Terrace, our residents have access to our fitness center, offering a range of cardio and strength training machines to work out without straining the wallet. Here are a few of the benefits of having convenient access right in your community. The most obvious and immediate benefit is that you save time and money. Not having to make time to drive to a gym and pay a monthly fee is great, and it means that you can exercise when you want to. If you have a spare 15 minutes while dinner is cooking or you’re waiting for the laundry to buzz, that’s a great amount of time for squats, lunges or arm exercises. With a small, private facility, there are a limited number of people who will be using the gym. Unlike private membership facilities, there’s not dozens of people all trying to use the same pieces of equipment which means that with our fitness center there’s no waiting around for machines. 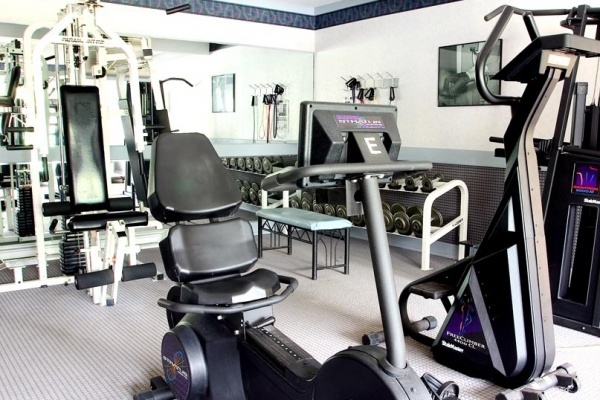 It is not uncommon to have a disruption of exercise regimen when machines are being occupied, but at Town Hall Terrace, you have access to 10 different machines that each offer dozens of exercise routines – plus a full line of free wrights and lifting machines for upper body workouts – to ensure you can get the workout you want without waiting. The threat of being intimidated by the egos of others is eliminated, too. There is no pressure to be perfect at home. Those working out with you are your friends and neighbors from the community, meaning that you’ll often be surrounded by friendly and familiar faces during your workout. Plus, if you make friends with your fellow gym attendees, you may find the perfect workout buddy or spotter you need to help you take your training to the next level. At Town Hall Terrace, our facility offers all the machines and equipment you expect from a gym as part of your residency. Beyond the equipment, our fitness facility offers plenty of space for floor exercises, as well, and offers air conditioning, mounted TVs and a beautiful view to keep you comfortable and entertained while you work out. Not much of a gym person? No problem! Our professional-grade tennis courts and heated pool are perfect for a day of exercise and fun outdoors. We keep the tennis courts in top shape and provide you will all of the equipment you need to play, while our pool is cleaned frequently for safe swimming. There is also a dog exercise park where you and your four-legged friends can run and spend quality time together. This is an expansive area with beautiful scenery. When it comes right down to it, what better place to exercise and explore than right in your community? Stay active and healthy and save on the gym when you rent at Town Hall Terrace. To learn more about any of our amenities or to find out about our currently available units, call us today at 716-773-2788 or email us at townhallterrace@verizon.net. Posted June 27, 2016 by Town Hall Terrace & filed under Grand Island. Higher education is important, especially when pursuing a successful and long career. Choosing the right path for education is based upon not only the degree you wish to obtain, but also the college you wish to attend. For prospective or current students in Western New York, Grand Island is a wonderful place to live during the college years because it is in the middle of the major universities that serve the greater Buffalo-Niagara region. 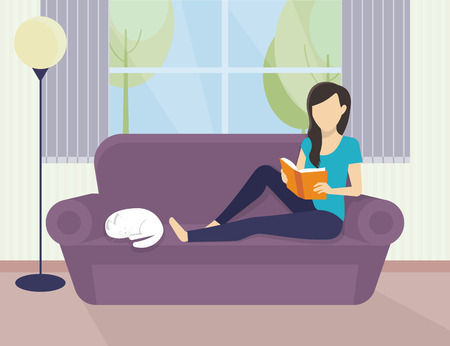 It can be difficult to live in a dorm situation, and off-campus living is more suited to those who are seeking a more normal lifestyle. Commuting to and from Grand Island to surrounding universities is a quick trip, with most finding an average driving time of only 10 to 20 minutes. Niagara University – 14 minutes away. This college has a fantastic program for engineering, nursing, accounting, management, communications and education. Buffalo State – 12 minutes. Buffalo State has an excellent education program as well as other degrees in the arts, economics and communications. Canisius College – 17 minutes. At this college, you can graduate with a degree in education, accounting, human services and biology. University at Buffalo – 15 minutes. University at Buffalo is a top-rated school nationally and the flagship of the SUNY system. The university offers more degree programs than any other college in New York state, from undergraduate to graduate and doctoral programs. Niagara County Community College – 23 minutes. NCCC offers many two-year programs for students to pursue degrees in a variety of programs, including education, communication, nursing and other health services fields. Erie Community College – 22 minutes. At ECC, students can obtain a two-year degree in physical therapy assistantship, education, computer science and criminal justice. The degree programs listed for the above universities are an overview, and there are many, many more programs available at each college. If you plan on attending any of the above colleges or others in Western New York, Town Hall Terrace on Grand Island offers easy living in beautiful homes that are maintenance free and come complete with amazing amenities and an affordable price. To learn more, give us a call at 716-773-2788 and find out more about our available apartments today. Posted June 20, 2016 by Town Hall Terrace & filed under Patio Homes. After you retire from your fulfilling career, you deserve to sit back and enjoy life. Maybe it’s by taking that luxurious cruise or buying a mobile home to travel across the country, or maybe it’s downsizing from your large and demanding home to something a bit more manageable. As we age, it is all about doing things the convenient way. Owning a large home is a lot of work – almost more work than an actual 9 to 5 job. You have the interior and exterior to keep clean, not to mention the structural components of your home to constantly worry about and pay for. Home ownership can be very taxing on the body. Are you finding it difficult to get up and down stairs, move from one room to the next when there are so many? No worries! There’s a convenient solution for you. Move from your larger home to one of the convenient patio home rentals at Town Hall Terrace. Our upscale patio homes are smaller, yet still spacious, featuring an open layout and – of course, as the name implies – a beautifully crafted attached patio. Our patio homes are designed for independent living. Situated in a community atmosphere on Grand Island, you have easy access to an abundance of amenities. Each patio home gives you the peace of mind that you can still take care of yourself in a home while being surrounded by a close-knit community of your peers and maintaining convenient access to destinations throughout Western New York, including quick access to Buffalo, Niagara Falls and the highways to points beyond. For those with limited mobility, a patio home is also ideal because the home is one floor, making all rooms accessible within just a few steps. Our patio homes are situated in a relaxed, peaceful and fully accessible community where you can enjoy living without the hassle of caring for yourself alone. Each patio home includes a master suite with a large, handicapped-accessible bath and walk-in closet as well as a guest bedroom with a separate walk-in closet. Each home also boasts a spacious, open kitchen design with hardwood flooring, a breakfast bar and all major appliances. These patio homes also have new washers and dryers, and an attached garage to protect your car from piles of snow during the cold winter months. In nicer weather, sliding glass doors lead out to the patio to relax with your four-legged companion – yes, we’re pet friendly! With an on-site security patrol, too, you’ll never feel uneasy at home. For more information about the patio homes available at Town Hall Terrace, give us a call today at 716-773-2788. Posted June 13, 2016 by Town Hall Terrace & filed under Moving Tips. Moving can be a very strenuous activity, as you probably know. Add in the heat that comes in the summer months and it can make the experience downright miserable. So if you’re moving in the upcoming months, here are a few tips from Rent.com to help you beat the heat while you do. This may seem like a no-brainer, but while moving, many don’t remember to stop and take a drink to keep their body hydrated. A good idea would be to have a cooler stocked with water and even Gatorade so you and anyone helping you can grab a quick refreshing sip when you need it. When moving in the summer, avoid wearing dark and heavy clothing, as these colors absorb sunlight and heat up even faster. Instead, wear something light and breathable to keep yourself from getting too hot and uncomfortable. Also, even though you might only be outside for a minute or two at a time as you move boxes and furniture in and out, don’t forget to apply sunscreen to protect your skin. If your new apartment has air conditioning, put it on as soon as you arrive. That way, while you work on warming up with all the heavy lifting and unloading, you apartment will start to cool down, allowing you to unpack in a cool environment. When you move, don’t do it at the end or beginning of the month, if you can, as those are the busiest times for moving. Instead, do it in the middle of the month so you can avoid other movers. 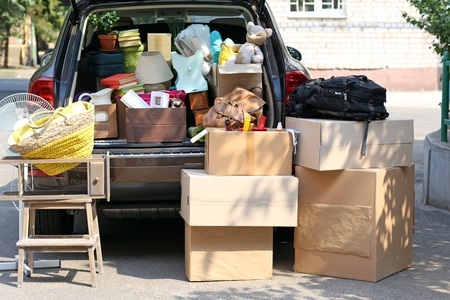 If any of the things you are packing are sensitive to heat, be sure to unpack them first because the last thing you want after moving in heat is to find some of your possessions are ruined. To help you remember them, set a reminder on your phone or leave a note at the front of your moving van. Don’t forget to leave these items somewhere they can be easily reached, as well! If you’re planning on moving this summer and are looking for a great place to move, look no further than Town Hall Terrace in Grand Island, New York. Our townhouses, patio homes and apartments come with a long list of amenities that will make sure you never want to live anywhere else. For more information, call us today at 716-773-2788!